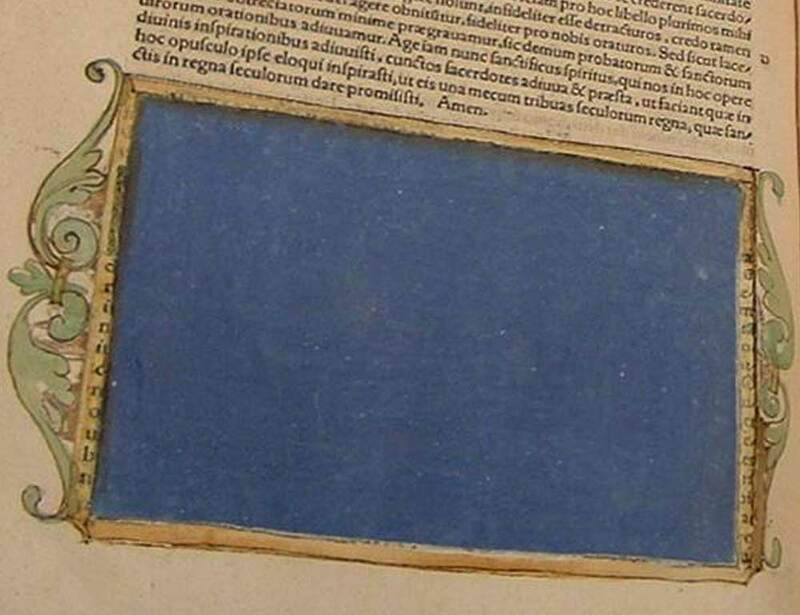 Two books by Renaissance humanist par excellence Desiderius Erasmus at the University of Toronto provide drastically different and unusual examples of censorship, one of them crude, the other artistic, even beautiful. 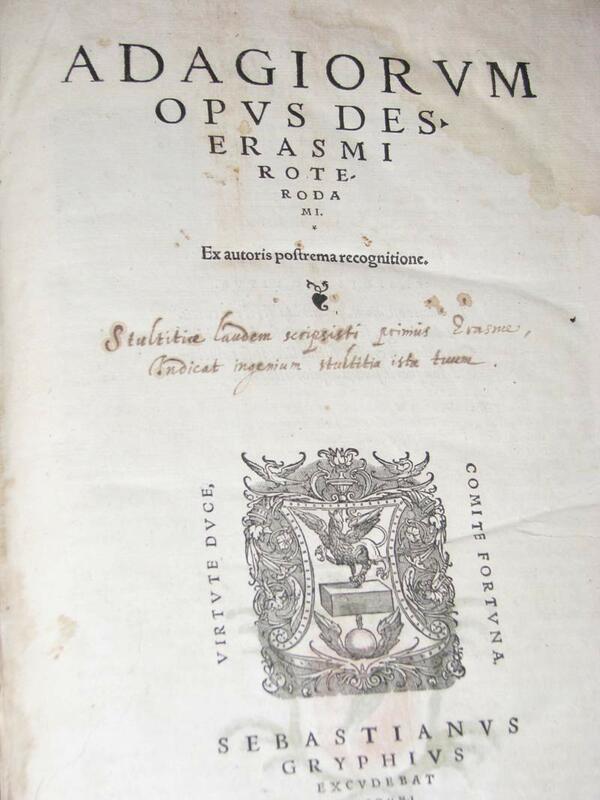 Erasmus was a scholar and Roman Catholic priest born in Holland around 1466. Although he was critical of clerical excesses, he considered himself a committed Catholic and aimed to reform the institution from the inside using reason and scholarship. Nonetheless, his work had a powerful influence on the Protestant Reformation. His 1519 edition of the New Testament in Greek was used by Martin Luther for his seminal German translation, and Erasmus had a lively, warm correspondence with Luther for years until Erasmus’ rejection of some of Luther’s arguments and vocal support for doctrines like Church tradition as a source of revelation and the virginity of Mary enraged the choleric cleric. 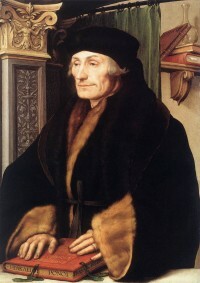 Erasmus died of dysentery in 1536. His books remained popular with Catholics and Protestants alike, but the ecclesiastical authorities were less enamored of them, especially once the Counter-Reformation of the Church took root after the Council of Trent began in 1545. In 1559, Pope Paul IV took a moment between forcing Jews into ghettos and dying to put all of Erasmus’ books on the Index Librorum Prohibitorum. The censors sharpened their tools and got to work. The censor didn’t stop there, though. He also tore out some pages and glued two other pages together. 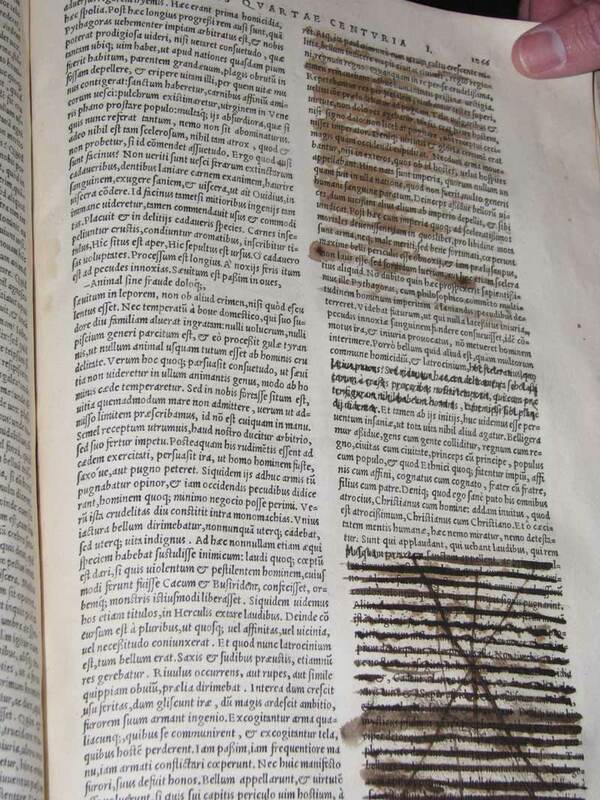 It was quality glue, too, because hundreds of years later those pages are still stuck together. 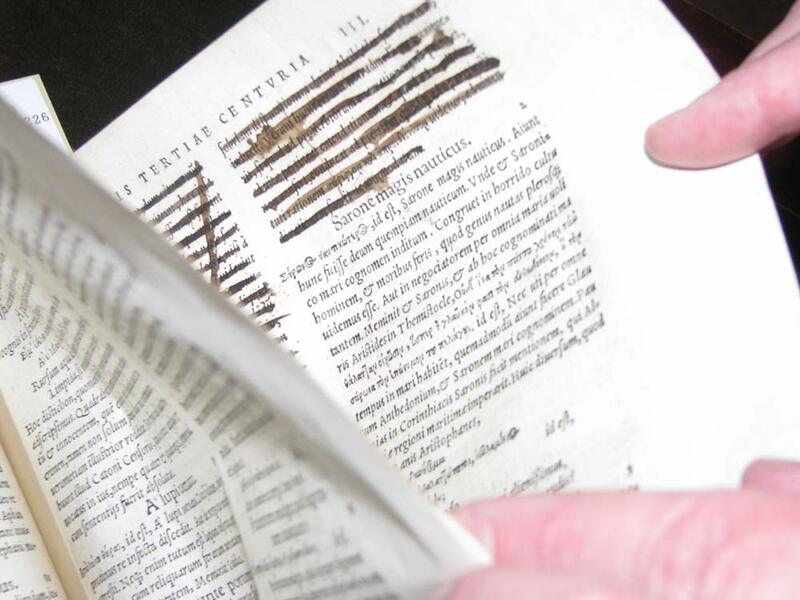 Another censor took an entirely different approach to silencing Erasmus. 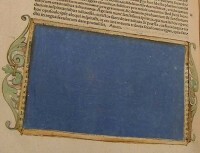 A 1538 edition of Erasmus’ annotated works of Saint Ambrose, Bishop of Milan, in the Centre for Renaissance and Reformation Studies at the University of Toronto, blots out the offending notes with beautiful blocks of watercolor paint decorated along the edges with scrollwork and even a putto, a little boy cherub. Perhaps this censor was a book lover who didn’t want to mar the work with ugly scribbles and missing pages. Perhaps he was more artist than prig. Perhaps he took more care because the book contains the religious writings of a Church father instead of a collection of pagan sayings. Whatever his reasons, he produced something quite lovely, almost making an illuminated manuscript out of a printed text. If censorship is inevitable, at least we can lie back and enjoy it. This entry was posted on Wednesday, May 16th, 2012 at 11:39 PM	and is filed under Renaissance. You can follow any responses to this entry through the RSS 2.0 feed. You can skip to the end and leave a response. Pinging is currently not allowed. Now this is a blog post straight from the top drawer. Most interesting. In these easy and liberal days we rail against censorship, it’s just not cricket. One must agree with you though Livius, if censorship is to pop its head up, its better when it has dressed up a bit. As an aside, one can’t help feeling sorry for poor old Erasmus. His level-headedness made him a target of both feuding religious parties. Neutrality seems to make one an enemy of all what? Indeed, Erasmus’ equanimity made him a target from all sides. Thankfully his impassioned embrace of scholarship and reason has made him an intellectual luminary for the ages. Paul IV, on the other hand, is less fondly remembered. Thank you for your kind compliments, Tristan. Not at all Livius, the pleasure is all mine. It has positively made my month finding your blog, I shall be a daily visitor. As for Paul IV, you are right, a bad egg. They chopped the head off his statue you know. The irony of Erasmus peaceful ways is that his name is an anagram of “Murderous as seditious dreamers.” Curious what? Anyway, I am rambling. I shall be a daily visitor to this site, mark my words. ^ I read the above comment with a very polite, British accent.